Skagit County Superior Court Commissioner Brian Paxton is retiring January 31, 2018 after serving in the position for just under twelve years. Commissioner Paxton has carried a challenging and relentless caseload since being appointed in March of 2006. 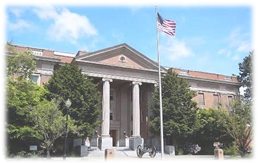 The Superior Court Commissioner handles all family law motions (both attorney and non-attorney cases) as well as the calendars for the at risk youth, dependency, truancy, paternity, child support collection and family treatment court. No judicial officer in Skagit County has a bigger impact on the lives of family and youth in our communities. Averaging over one hundred cases per week, Commissioner Paxton has presided over more than 60,000 hearings during his time on the bench. After passing the Washington bar in 1980, Brian worked for a litigation firm in Yakima for three years before moving to Mount Vernon in 1983. For twenty-three years he practiced primarily family law until his appointment to his current position. Commissioner Paxton has served with intelligence, compassion, passion and a strong work ethic while always seeking to find fairness in applying the law. He has been a valued colleague and an even better friend to the Superior Court staff. 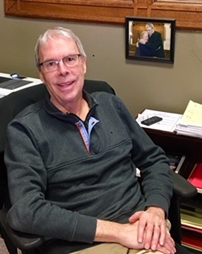 Brian plans on filling his retirement with a part time mediation practice, continuing his active contribution to the local theater productions, time with family (especially his one and only granddaughter), travel, culinary experimenting and more time for his voracious appetite for reading. His wife Peggy, who works for the Mount Vernon school district, will join him in retirement this June. Congratulations and Best Wishes Commissioner Paxton! An open house retirement celebration will be held on Wednesday, January 31st, 2018 at Skagit County Superior Court, Courtroom Two from 3:30 – 4:30 PM.